I got to the Marcopolo Hotel about half an hour later and dropped off my stuff. The hotel itself was pretty nice for 40 bucks a night - it included a king size bed, fridge, balcony, sink, microwave, and cleanliness (mostly). Not knowing how packed the train to Chiang Mai would be (given that Chinese New Year was coming up), I got a taxi to take me to the Hua Lamphong station so I could buy my ticket. 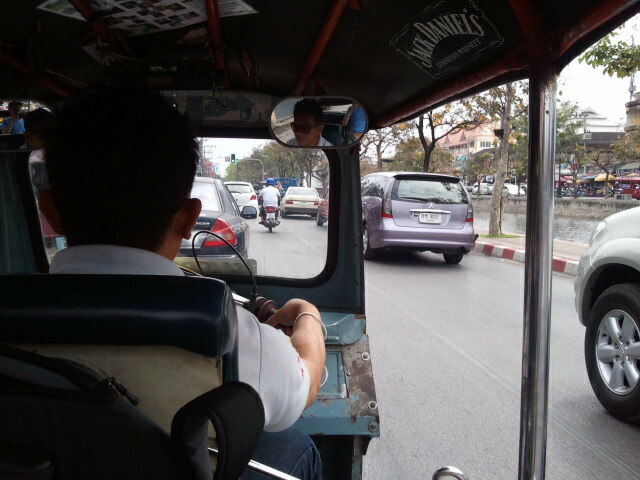 The drive agreed to take me there for 150 Baht...that seemed like a reasonable price so I agreed. Little did I know, he would be transporting me on a motorcycle. Riding motorcycles in Vietnam, where the crowded traffic kept speeds low, was one thing. 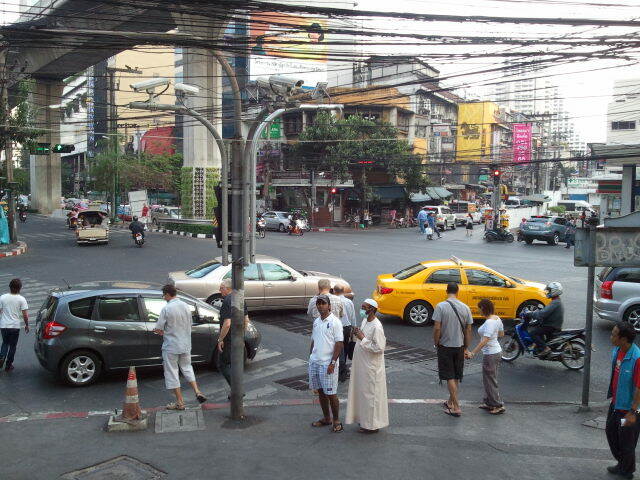 In Bangkok, riding on a motorcycle taxi meant speeding through traffic jams, squeezing between cars, and going down the wrong side of the street playing chicken with oncoming cars. When I got back to the hotel, I spoke with the tour desk to see what my options were. 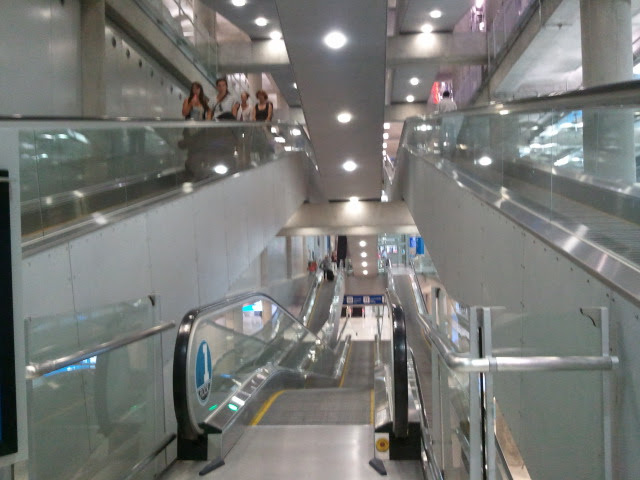 Given that I only had one full day in Bangkok, I figured doing an organized tour would be the best way to go. After figuring out the logistics for the tour, I hopped on the hotel tuk tuk, and headed for the main street a few minutes walk down the road. While Singapore was remarkably westernized in many respects, there is a much smaller trace of the western influence here - minus the hundreds of 7-Eleven's, McDonald's, and Burger King's. The music was Thai, the food was Thai, and the language was certainly not English. In fact, it sounds a lot like a hybrid of Vietnamese and Cantonese...there's been many times when I've mistaken it for such and tried to respond accordingly! The next morning I woke up at 6ish to catch the ride that would take me to the Damnoen Saduak Floating Market in Ratchaburi, which is about an hour's drive from Bangkok. We stopped a short distance from the actual market to hop on a speedboat, which took us to the market. The market was bustling with people. Although it may had once served the locals, the market appears to have transformed itself into a tourist trap, with all the paddle boats selling trinkets and rarely anything you would expect a local to come to buy. Regardless, it was a fun experience...especially the haggling. I managed to bring down the price of a magnet from 80 Baht to 40 Baht, which was probably still overpriced.